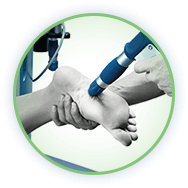 As physical therapists and rehabilitation professionals you can trust the modern and advanced techniques and approach utilised by the team at Physical Healthcare. With over 20 years of firsthand experience, training, and knowledge we can breathe new life into your body with our restorative solutions. Committed to helping all of our valued customers enjoy their life free from the pain of chronic headaches and migraines. Often putting a stop to the enjoyment of life, headaches and migraines can lead to sufferers being bed-ridden and unable to perform basic tasks. To help Melbourne residents regain their senses with a clear mind the expert physiotherapists and health care professionals at Physical Healthcare can ease the tension and severity of head pain. Make the right choice for your health and book yourself in for an appointment with the helpful and dedicated team at Physical Healthcare. Save your spot today by calling us on 1300 581 625.